The place is filled with photos taken throughout the years, this is Franco’s favorite...read below for the story behind it! Note the ship’s wheel in the background, and read about it below! Details count! 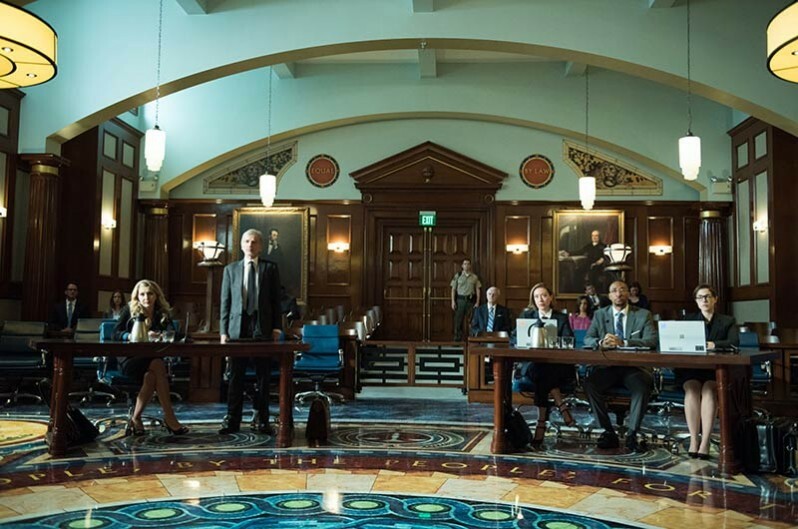 Franco found bar seats and discarded audience seating that he then had reupholstered and perched onto metal frames to create the courtroom’s spectator seats. 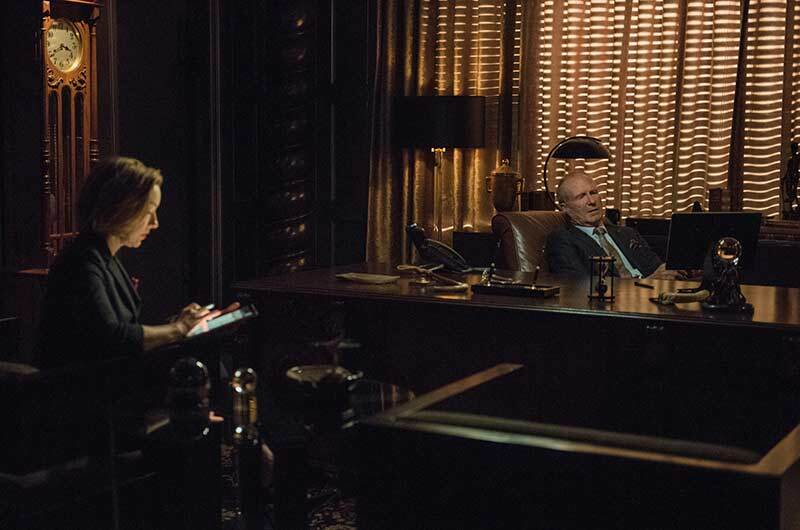 The lawyer’s chairs were knockoffs of Eames chairs that Franco had painted blue. 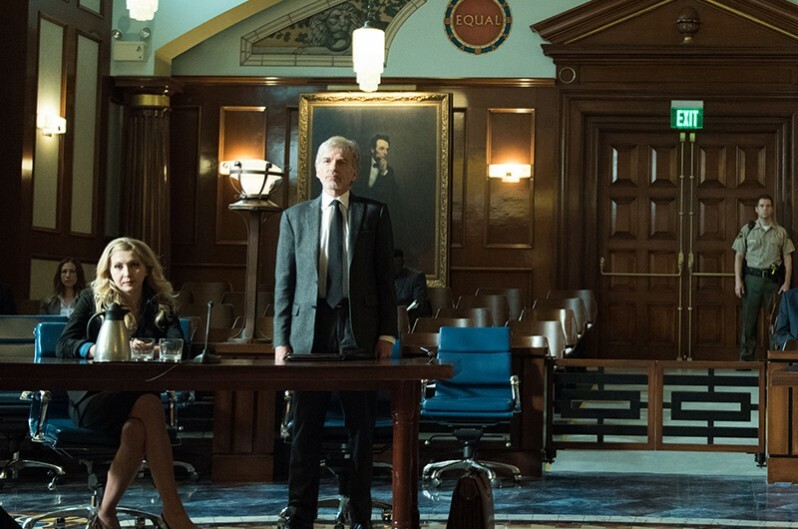 that Set Decorator Ron V. Franco SDSA provides for their lauded series GOLIATH! The ever-busy Franco also did the pilot of TRANSPARENT, setting the tone for that breakout series, after giving us many seasons of Bon Temps and beyond for TRUEBLOOD and for HEROES. He also filmed the first American television episode in Cuba, the finale for HOUSE OF LIES. 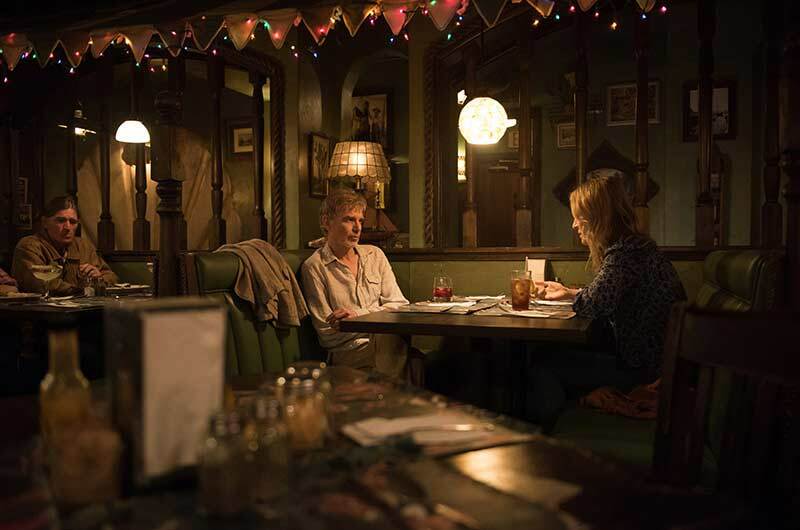 Ron Franco and I happily met at Chez Jay in Santa Monica to discuss his work on the hit Amazon series GOLIATH, where he re-created this iconic restaurant on stage. 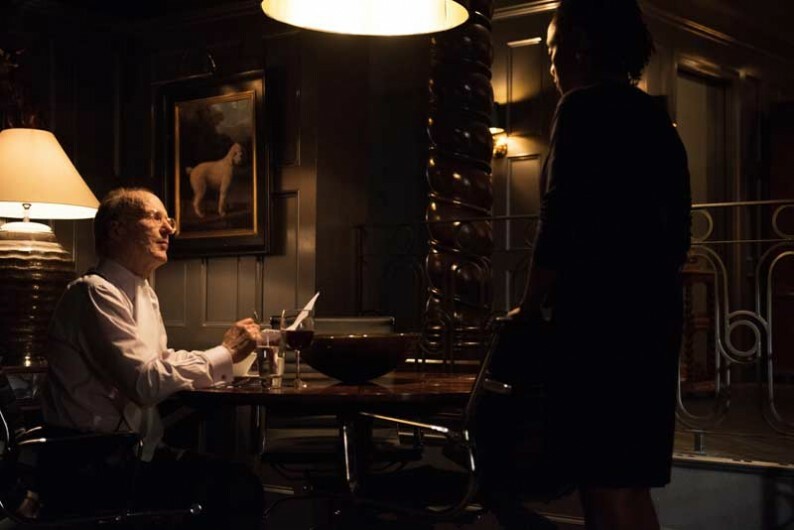 I was excited to do the interview because like millions of other fans, I binge watched the series in one day and had been salivating for the steak au poivre ever since. 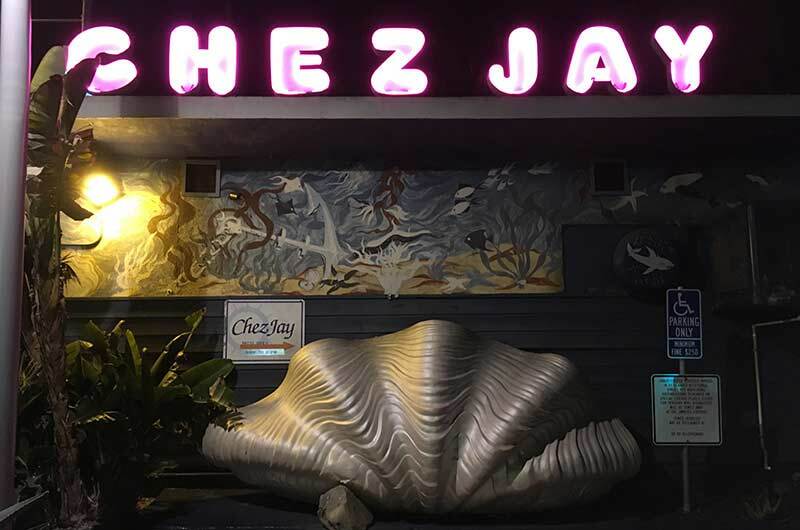 Chez Jay was one of the first restaurants I discovered when I first moved to Los Angeles from New York. Over the years I have spent many happy hours in Jay Fiondella’s comfort zone, so it was with great pleasure that Ron and I got to chat over lunch there. As Ron is a native Californian, I likened re-creating the history-laden landmark Chez Jay on a soundstage to rebuilding something like Sardi’s in New York City. Where do you begin? Obviously, the task was daunting but with so little time to prep, Franco commenced his hunt and attacked every item swiftly. 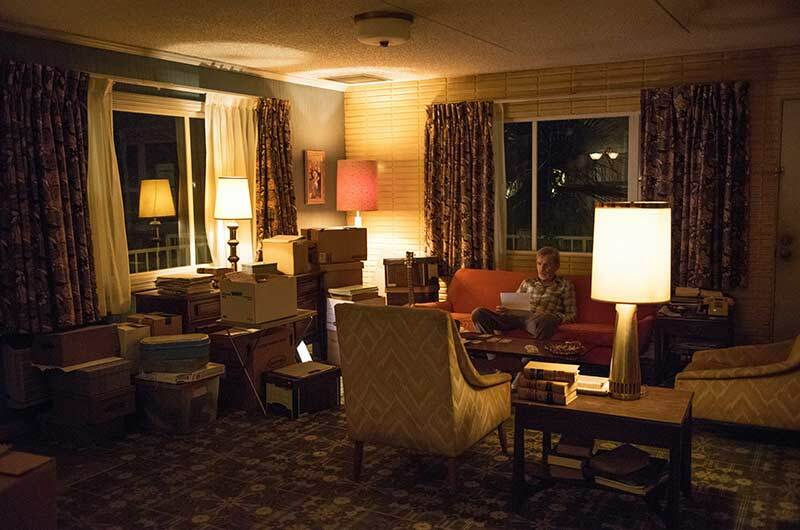 This 25-year TV veteran culled all his sources and hunted from San Francisco down to Orange County and as far east as Palm Springs. I was impressed that he kept his hunt local to California in order to conjure the history and vibe of this oceanside mecca. Many of the local sources for sea-faring items have gone out of business over the years, so it was a bit of a surprise when Franco informed me that the famed ship’s wheel that he needed to re-create the entrance was found in a landlocked thrift shop in Pomona, on his way to Palm Springs! 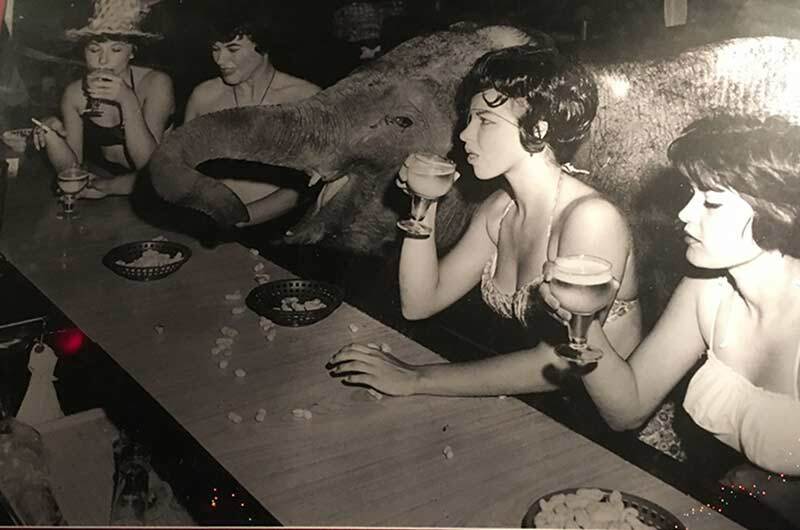 There are thousands of pieces on the walls in Chez Jay but when I asked Franco his favorite piece, he replied without hesitation, “It’s the photo of the elephant at the bar.” The history behind it tells of a time when a movie company was filming near by and one of the starring elephants was hot and thirsty. The wranglers brought him inside to drink some beer. When the elephant was through, he banged on the bar to signal for more. The bar still moves to this day. The coup de grace was the huge Chez Jay neon that was added to the exterior of the restaurant, so it faced the front of the Ocean Lodge Motel. The exteriors were filmed at the actual location, so the City of Santa Monica and the surrounding businesses had a lot to say about the new addition to this beloved landmark—but in the end, the production got their wish and the owners got to keep their new sign. Perhaps one of the reasons I was so drawn to GOLIATH was the obvious similarity of the opening sequence to the HBO series BOARDWALK EMPIRE. 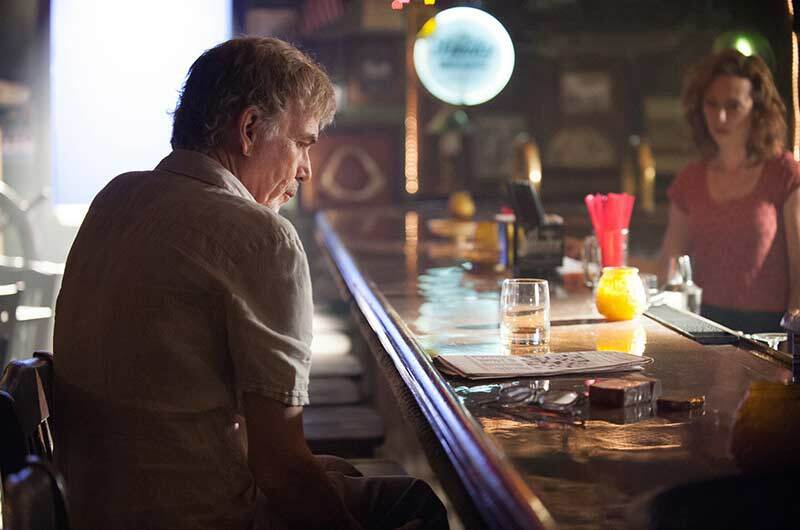 The series GOLIATH takes place in a west coast seaside town that we recognize as current day Santa Monica, and exposes the grit underlying the layers of glamour with a bit of nostalgia. Franco displays this effortlessly in the motel room of Billy McBride, played by Billy Bob Thorton. 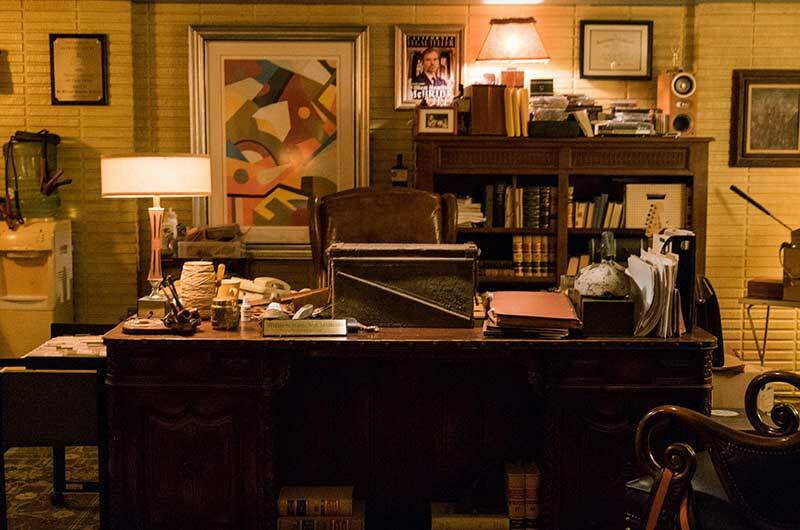 This once successful lawyer has moved out of his Mid-Century Modern palace and brought his office with him, as well as his most coveted personal items. Here amongst the surfers, the homeless and the prostitutes, McBride creates his true kingdom. 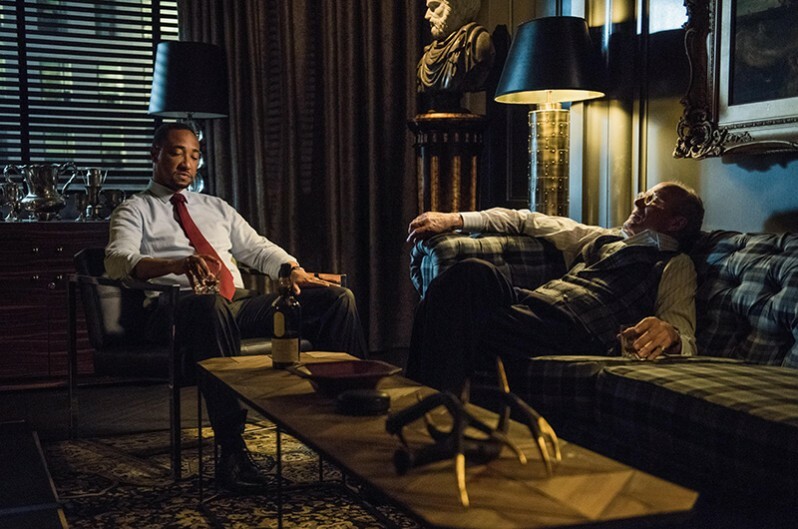 Franco enjoyed the conversations with Thorton and used many of his suggestions...his father’s pipes, hunting decoys, fancy office desk...in the decoration. He even found the Count Dracula Bobble heads Thorton requested but unfortunately, could not clear them to use on the set. 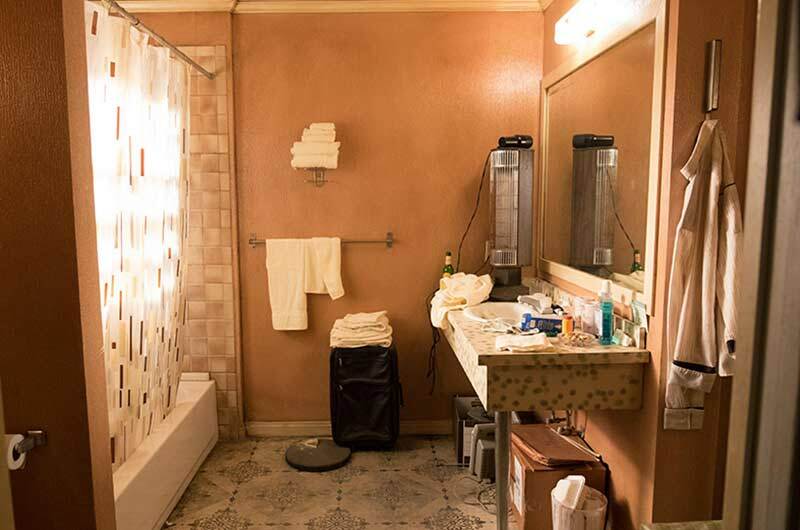 The bone structure of the set was the seaside motel but the heart of it was all the intricate touches added by Franco. 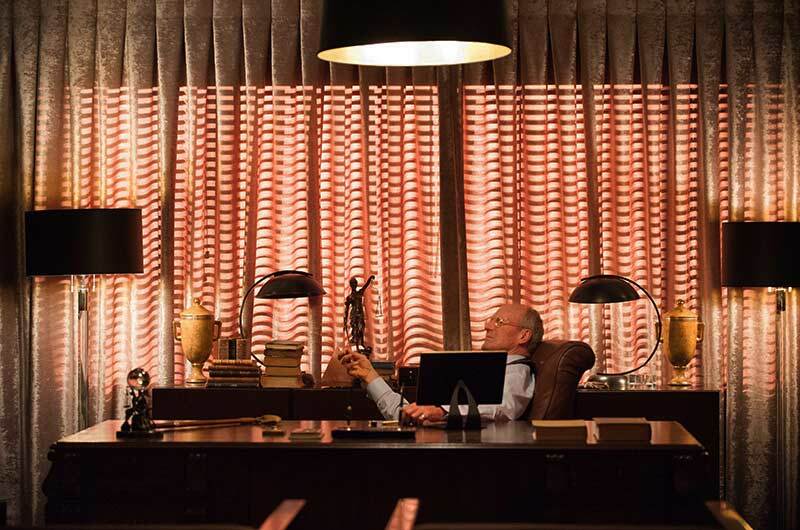 As McBride’s surroundings suggest a longing for simpler, bygone days, the office of Donald Cooperman, played by William Hurt, reveal a man steeped in history and clinging to the power of his place in it. 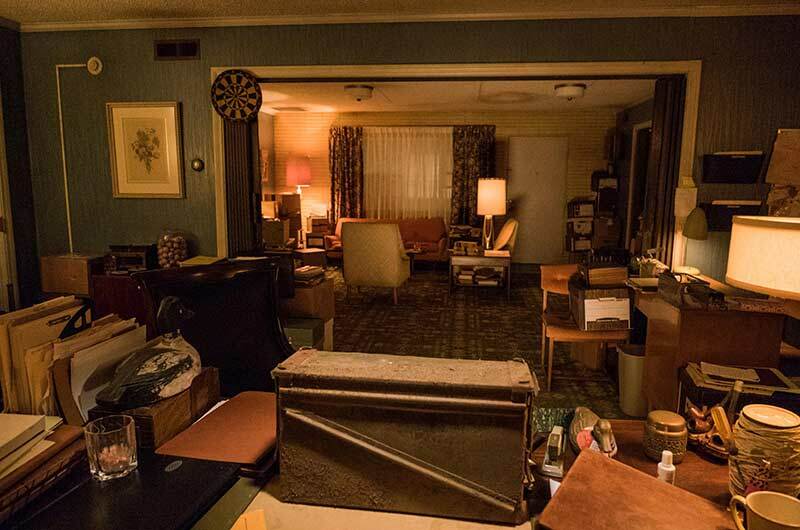 I asked Franco how he was able to convey all of this on a set that was, for the most part, filmed in the dark. “I chose items for Donald’s set that had very distinct, powerful shapes such as Samurai armor and a grandfather’s clock,” Franco imparted. 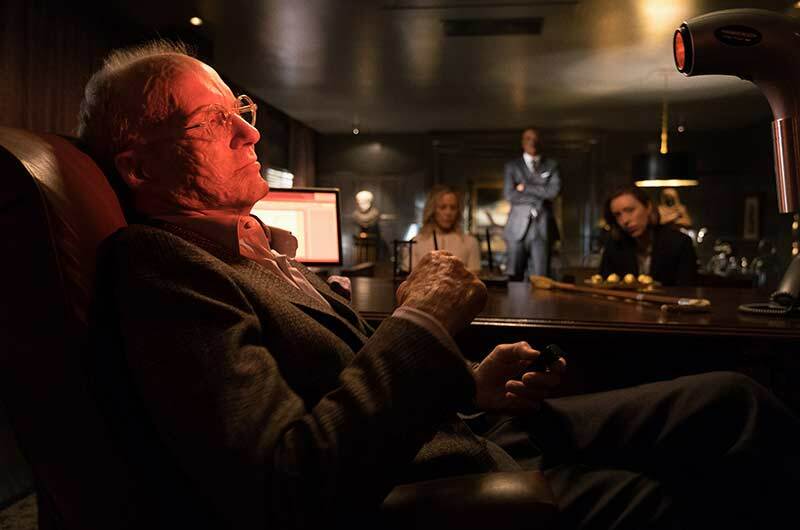 “We also interspersed a lot of chrome hoping that the red lighting would reflect off of these pieces.” It’s a masterful display of how a seasoned set decorator creates a mood within given parameters. Sometimes, as Franco and I discussed, these narrow parameters force you to think harder and search deeper for a solution that unexpectedly elevates the final outcome. Another reason I think this series resonates with the millions of fans and me is that the story is woven around a time and place layered with history that begins in the latter half of the 20th century. We are accustomed to viewing architecture and furnishings from the Industrial Revolution to signify power and greed. GOLIATH uses locations in California that evoke these evil aspirations with architecture that arose after WWII with the expansion of the Military Industrial complex. 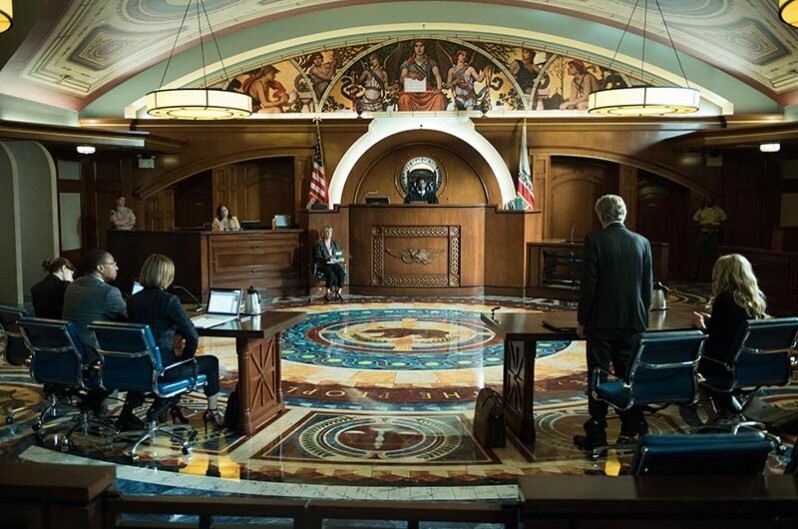 Franco is particularly proud of the furnishings he found and created for the beautiful courtroom that appears so often in the show. 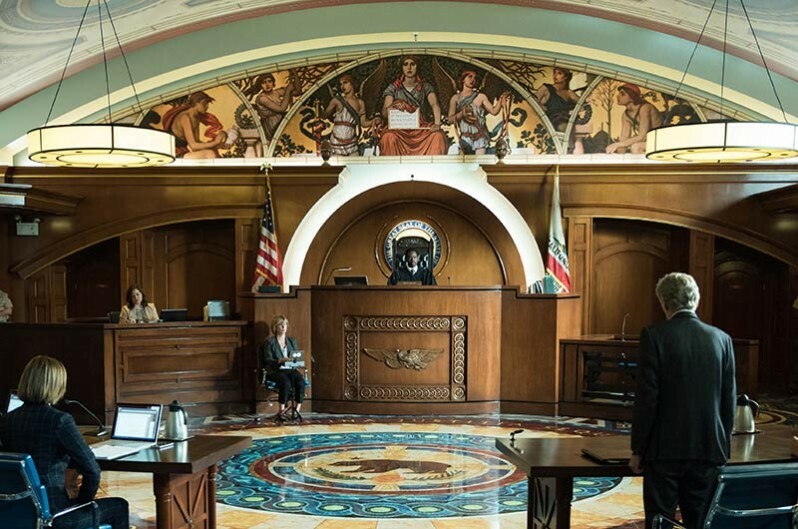 He found bar seats and discarded audience seating that he then had reupholstered and perched onto metal frames to create the courtroom’s spectator seats. 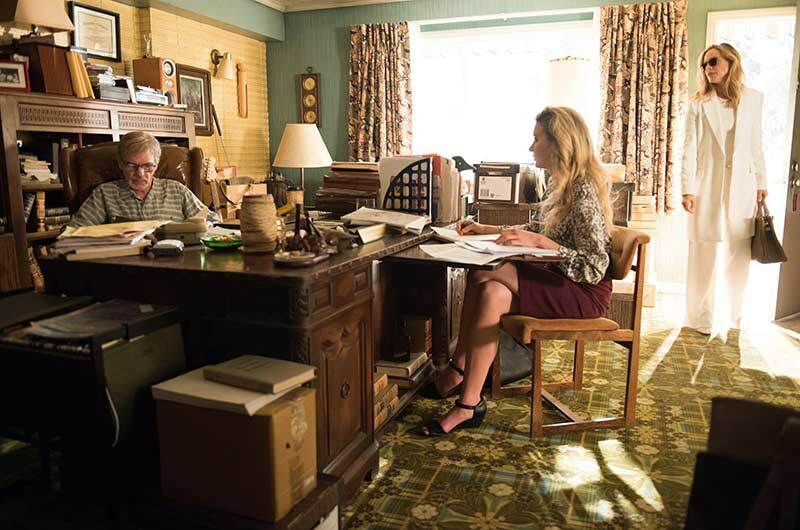 The lawyer’s chairs were knockoffs of Eames chairs that Franco painted blue. It was the perfect expression of modern furniture updated with contemporary touches, as Eames furniture was a byproduct of a contract from the US Navy during WW II to develop lightweight, mass-produced molded plywood leg splints for injured servicemen. Well into our second hour, Michael Anderson, one of the co-owners of Chez Jay, visited our table. We introduced ourselves and Michael excitedly exclaimed, “Fantastic! You will be here when the neon sign goes on!” Despite the years of preserved history and hospitality, he clearly enjoyed the new attention and business brought on by the success of GOLIATH as well as the flashy new neon perched on top of the building. Due to the endless bureaucracy of Santa Monica there is a limited amount of time they can leave it on, but every minute still symbolizes a small victory against the new order, much like the show itself. Then come back and read more of Television Decor!